Custom 2-tone Mountains ,one-of-a-kind. 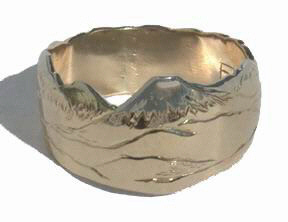 Your choice of favorite mountain or scene hand engraved detail with gemstones and animals available, White gold mountain tops on a yellow gold base, all gold or all silver . Add diamonds, animals, sun, moon, stars or specific requests like Longs Peak or Sierra Nevada profile. 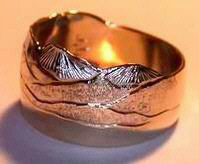 Appliqued or engraved. 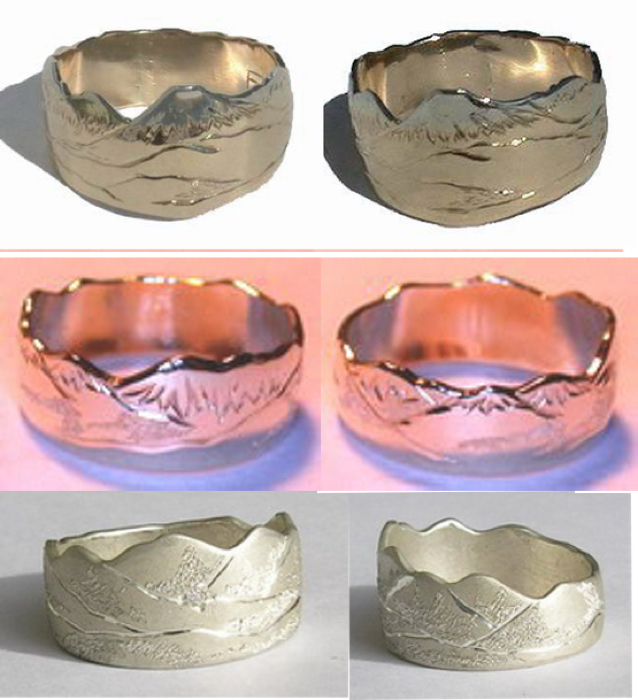 The Longs Peak sample clearly shows the contrast that can be achieved with combining metals. Long’s Peak stands proudly as Colorado’s northernmost fourteener. It is unquestionably the monarch of the Front Range and northern Colorado. It is not only the highest peak in Rocky Mountain National Park and Boulder County, but it is also the 15th highest peak in Colorado. 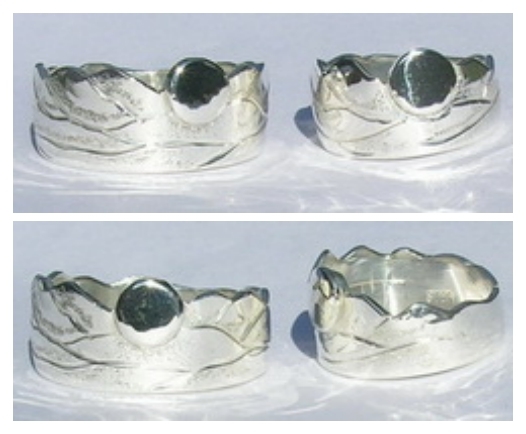 consist of a combination of golds, silver or platinum. 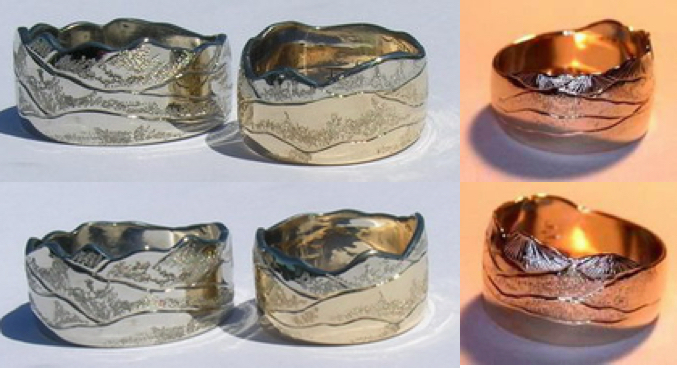 The ‘usual’ configuration is to have white gold tops on yellow gold mountain base….but other combo’s are possible, such as silver on rose or green gold. Your call.